Lord Buddha in his resting position is depicted in this piece of creation. 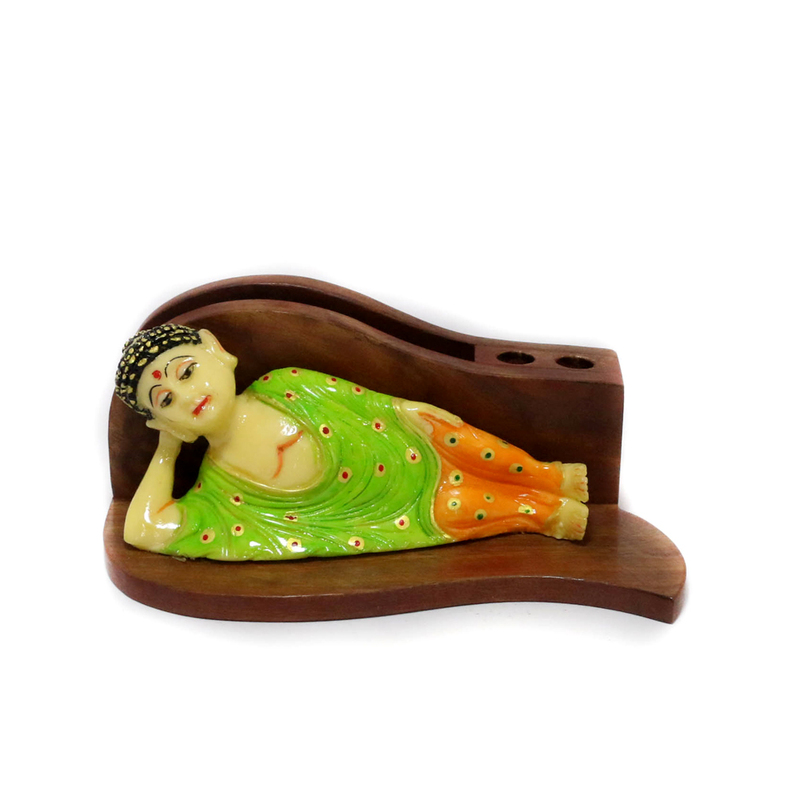 Buddha is adorned in Colours like green and orange with his left Read More..side facing. The entire figurine is affixed in a wooden framework. Lord Buddha is shown with one hand resting on his head and the other on his body. Show Less..